6 Point ultra-lightweight formula harness manufactured to the latest FIA homologation. The shoulder straps feature the latest 2” lightweight webbing suitable for use with FHR (HANS device), whilst also featuring ultralight aluminium adjusters to ensure both straps are quickly and easily adjusted for comfort and a precision fit. Adjustable bolt in style end, that can also be wrapped around a harness bar with the 3 bar adjuster. The lap and crutch straps work in conjunction with each other ultilising the D loop straps for the crutch straps to maximise comfort whilst in the reclined position. 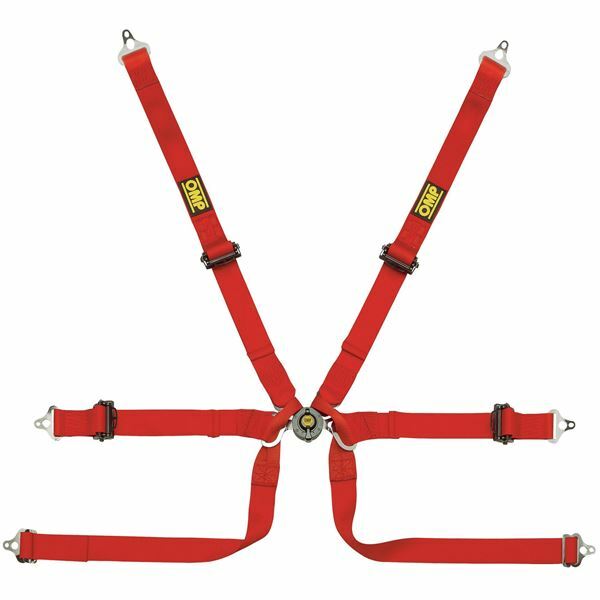 All straps feature an M8 plate fitment suitable for bolting direct to chassis tubing or bulkheads.